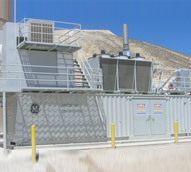 Packaged container and enclosure options provide alternatives to installations in existing or new buildings. 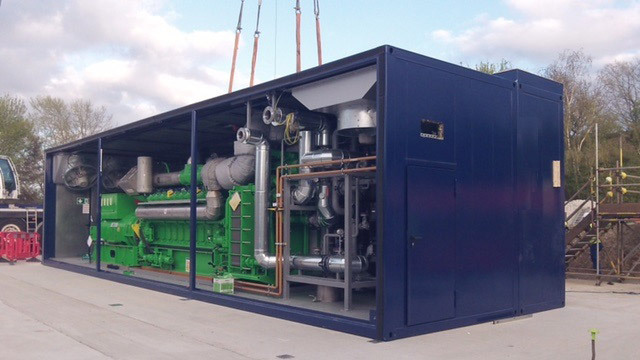 We have significant experience with pre-packaged container and enclosure solutions for engine-generator sets, balance of plant equipment, and switchgear. 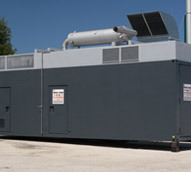 Northeast Energy Systems and Western Energy Systems has provided simple drop-over housings to fully integrated, pre-packaged modularized solutions for CHP and distributed generation applications. 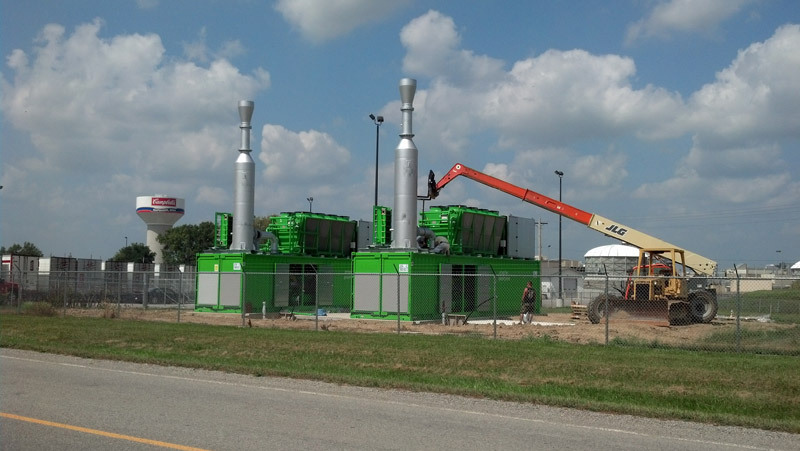 Pre-packaged containers and enclosures can simplify and expedite installation time, provide sound attenuation and personnel protection inside buildings, and provide weather protection for outside installations. 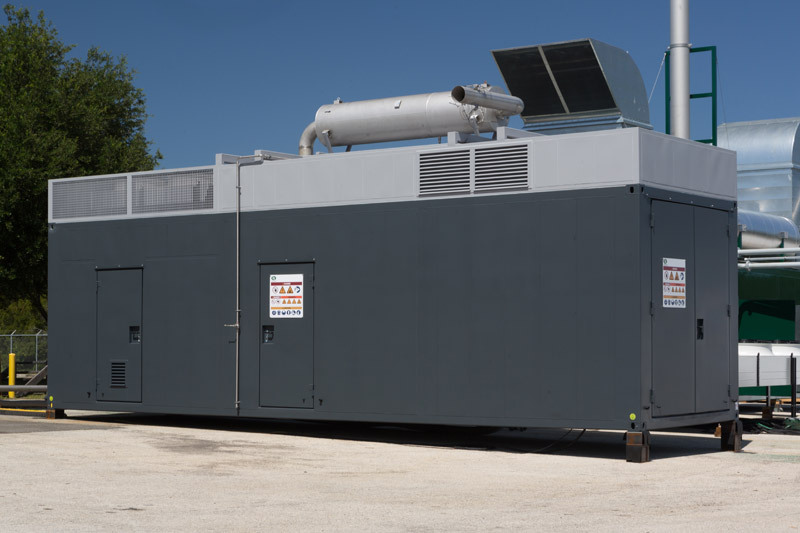 Integrated plug and play container packages are available for Type 2, 3, 4 and 6 engine generator sets with cooling, exhaust, and heat recovery systems; engine-generator controls and generator switchgear. 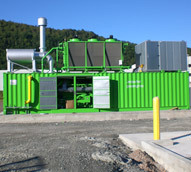 GE Jenbacher patented dual fuel blending systems can be integrated into these packages. Integrated container packages are fully tested prior to leaving the manufacturing facility and provide for expedited installations. 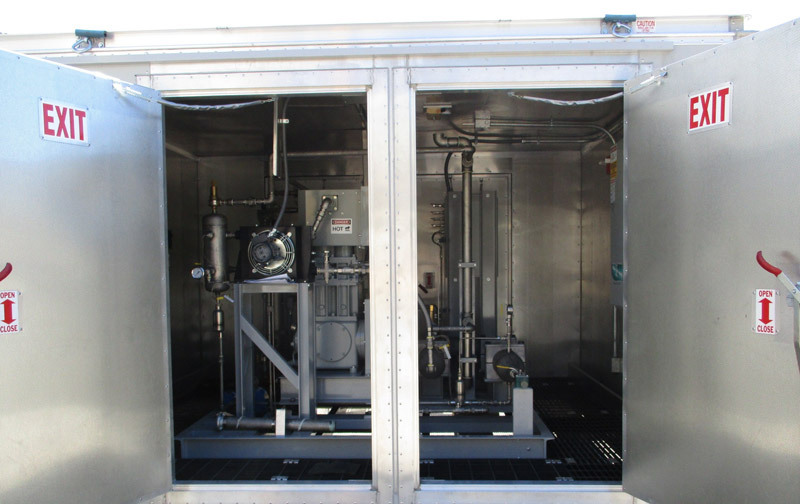 Space saving designs minimize field construction, can be assembled on site, and expedite commissioning. 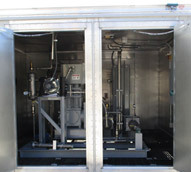 Customers often require customized solutions to meet specific installation requirements. We have experience with designing and building special packages which can be field erected, meet extreme sound attenuation requirements, and provide weather protection for extreme weather conditions. 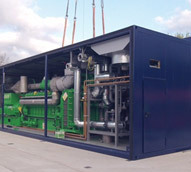 Gas engine containers are used for a wide variety of applications and can be single or dual fuel units. 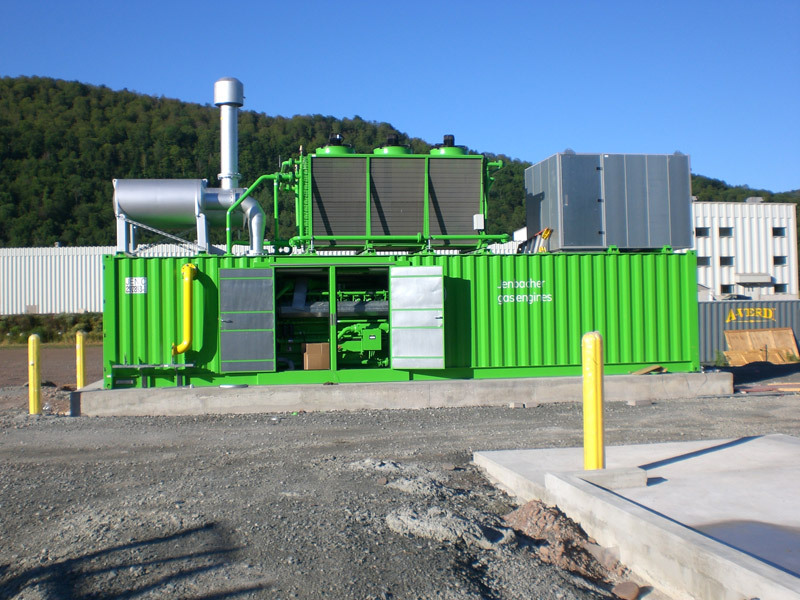 The containers can be equipped for heat recovery, emissions reduction, absorption chilling, heat rejection, engine protection and many other options. 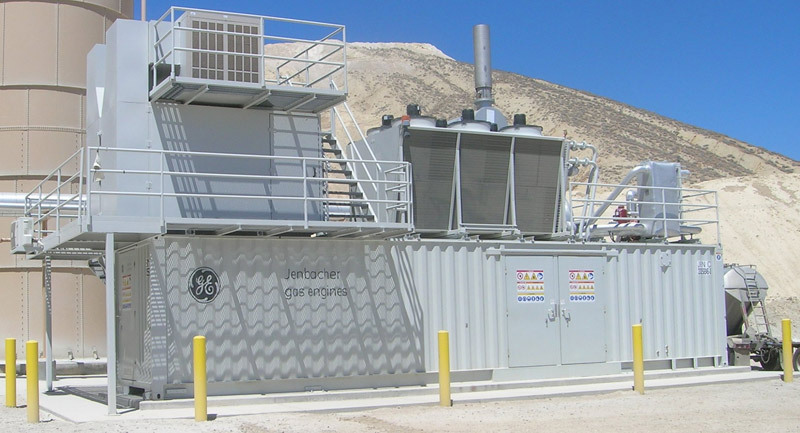 Where there are customer specific requirements, Northeast Energy Systems and Western Energy Systems are able to offer highly customized container options, including any specific sound attenuation limitations. The modularized units all include onsite assembly.